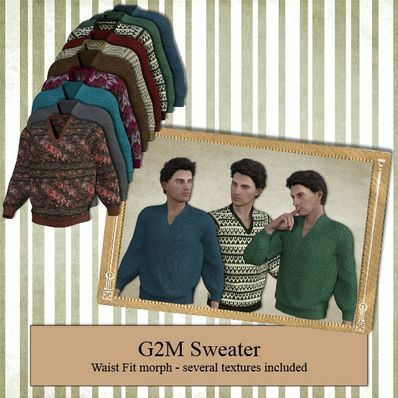 A Sweater for Genesis 2 Male for use in Daz Studio 4.8. Waist Fit Morph included. I have also included several Textures. A fine sweater with great textures. Thank you very much! Thanks Wendy for these sweaters with the wonderful textures. Just right for the upcoming Winter season here in Australia. Awesome! Love the style of the sweater and those amazing textures, looks so natural and realistic. Another home run out of the park! Wonderful Sweater! Thank you so much! Very nice / thank you!